It does not matter whether you are a seasoned vaper or a newbie when it comes to vaping. It is certain that you have or probably will have a few issues. The following is a list of mistakes all vapers may make. If you are a beginner, this list may help you to avoid these mistakes like we did. Most e-liquids come into several strength: high, medium, low and zero. Beginners of e-cigarettes tend to choose very strong e-liquids the first time. However, veteran vapers know this is not the case. If the nicotine level of your e-liquid is too high, you will get sick or increase your addiction to nicotine. Therefore, when choosing the nicotine strength for the first time, you should always ask the shop you are buying from for advice. If you are new to vaping, choosing an e-juice can become overwhelming. There are hundreds of brands to choose from. You sometimes are confused and do not know where to start. 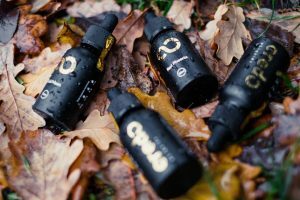 Most of the e-juices are made up of four same ingredients— propylene glycol (PG), vegetable glycerin (VG), nicotine and flavoring, but they are not created equal. I strong suggest you consider the e-juice companies with a high reputation. To make sure the quality, you can choose the e-juice with USP-grade PG/VG and laboratory-grade nicotine. In order to keep your e-cigarette working properly and prolong its life, you need to charge it regularly. Or your device will run out of power in your vape. Besides, you’d better not leave your device on the charge overnight. During its charging, make sure to keep an eye on it. If you keep it charging too long, technical issues will arise and the life of your battery will be shortened. What’s more, you need to keep your device out of reach of children and pets during its charging. In your tank in can find the coils which turns your e-juice into vapor. But unfortunately, the coils are not designed to last forever. Just like the coil inside the bulb, it will get weak so you have to get rid of it and replace it with a new one. If not, the flavor of your e-cigarette will degrade. Before you decide to replace a coil, you should make sure it time to do so. To many new vapers, they will discard coils before they really have to. Many coils still have some life left, which is a waste of money. All in all, every vaper may have ups and downs when it comes to vaping. If you meet some problems, do not hesitate to ask the vape community for help. You can go to local shop and vaping social media site where you can find many warm-hearted vapers who would love to offer help. No matter how little or big the question is, they are ready to help you!